Download Resume and Cover Letter Template PSD. This is a free resume template with cover letter design useful for you for your CV. A really clean and Simple Resume Template which you can use for your job interview and impress your employer. 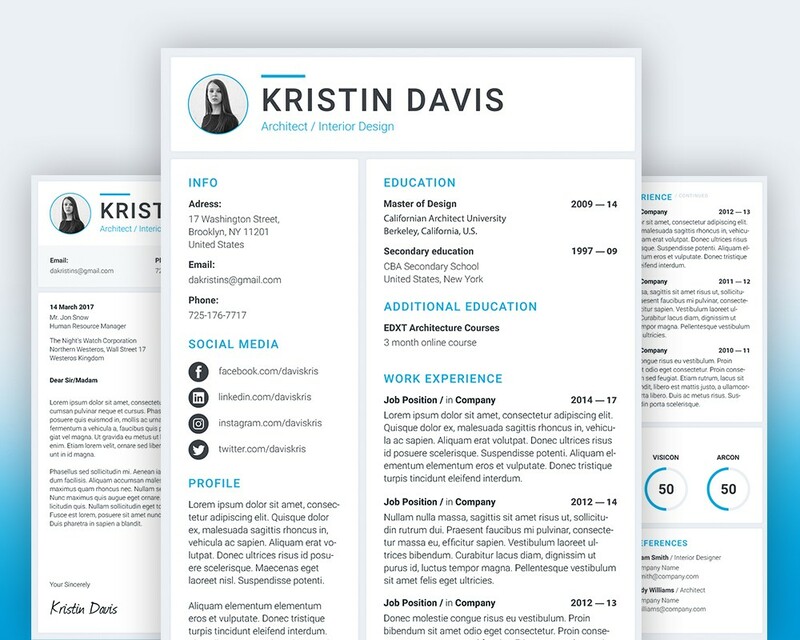 It has a clean design with a color scheme that gives your resume a professional look. This Resume and Cover Letter Template can be used for any type of job as long as you change the a couple of minor things. It has a clean design and simple layout for all kind of resume template. This is a minimalistic as well as elegant resume template which you can download for free. So if you want to a resume with simplistic look and feel this Resume Template is right for you. Hope you like this free Resume and Cover Letter Template PSD. Enjoy!